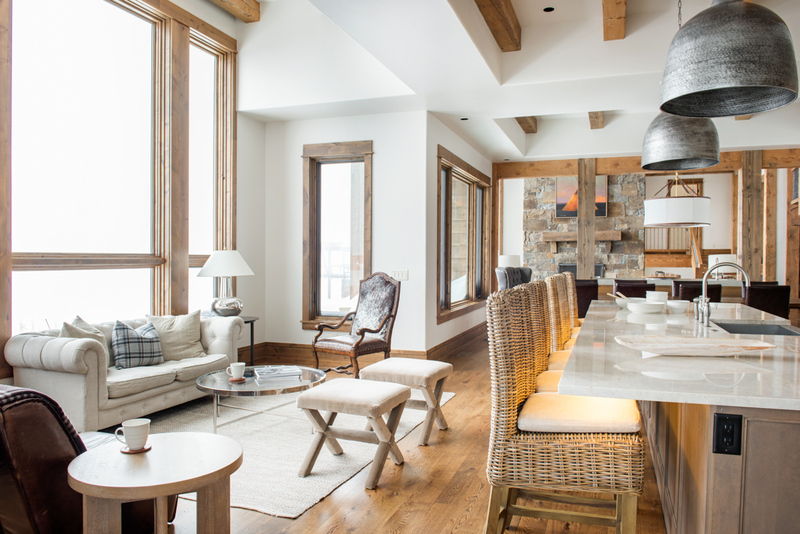 Defined by wide open bowls, panoramic views, and no lift lines, Big Sky Resort provides a feeling of total escape just 40 minutes from the old west turned college town of Bozeman and an hour from Yellowstone National Park. 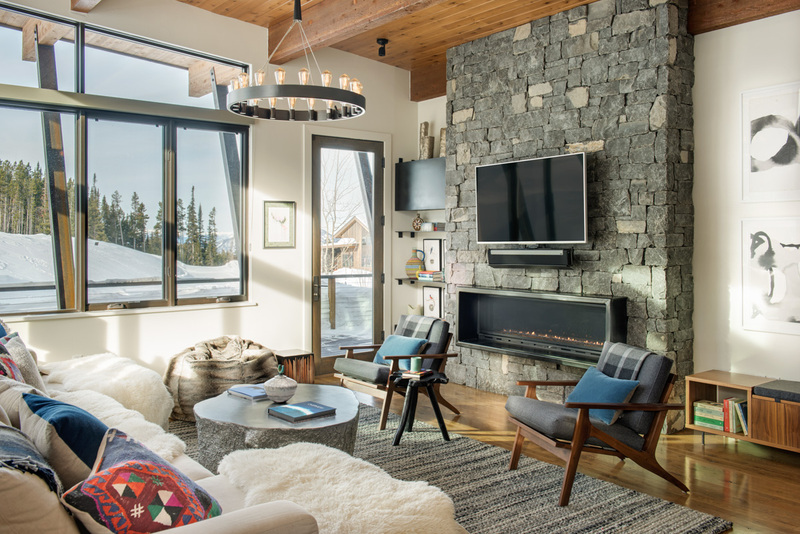 With more than 5,800 skiable acres and terrain for every ability, Big Sky is an ideal retreat for powderhounds and families alike. 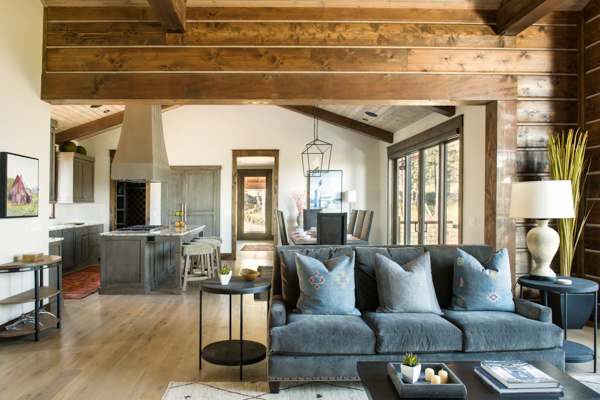 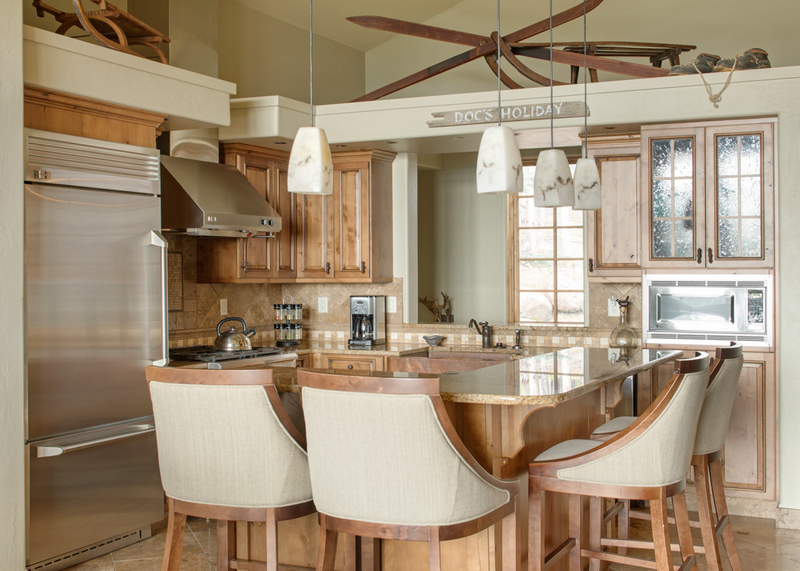 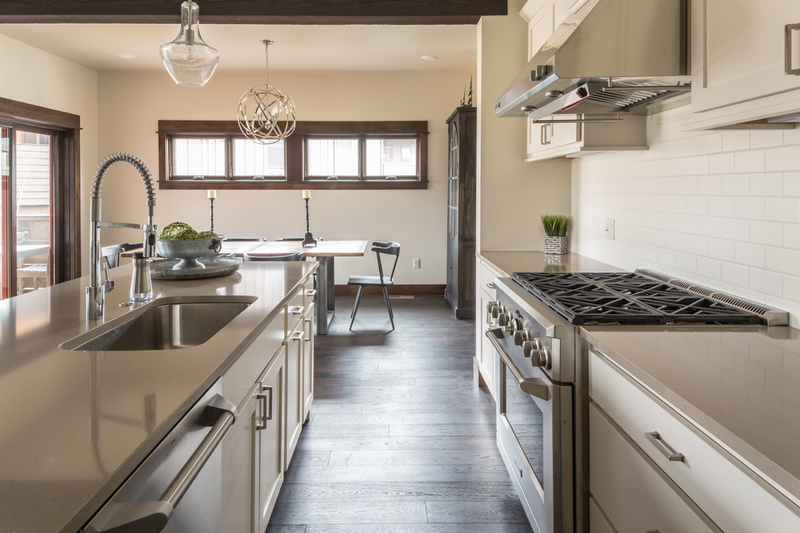 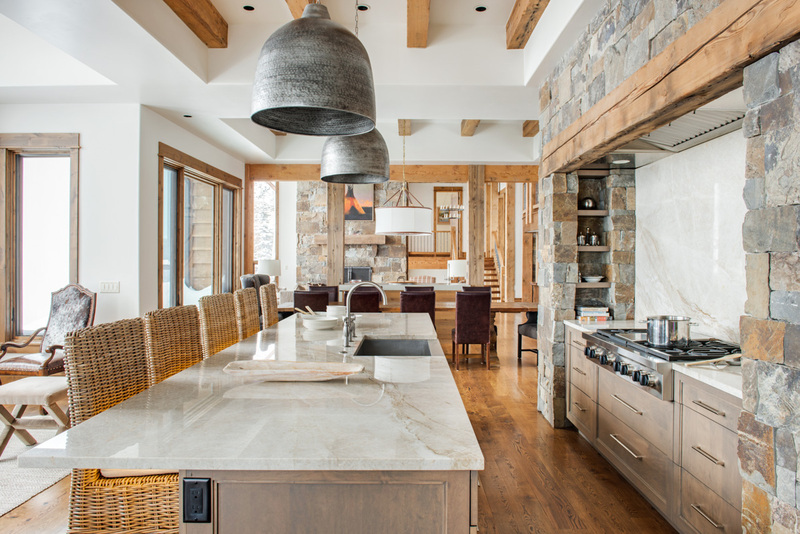 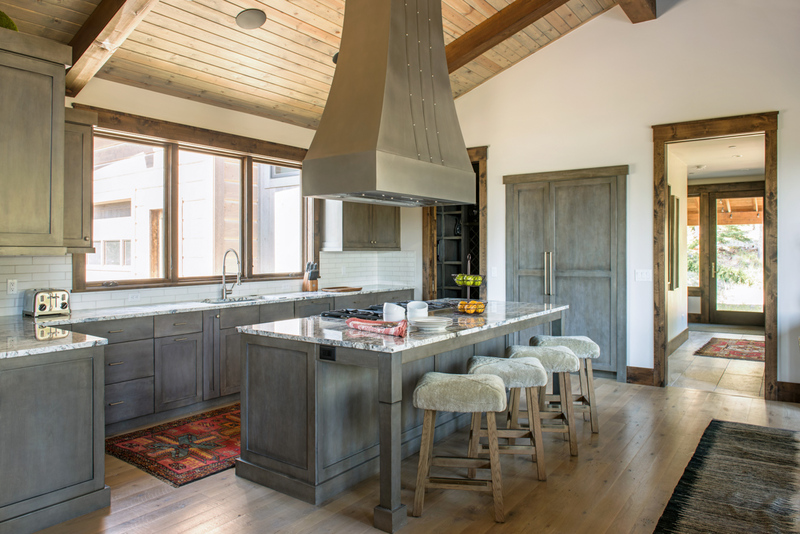 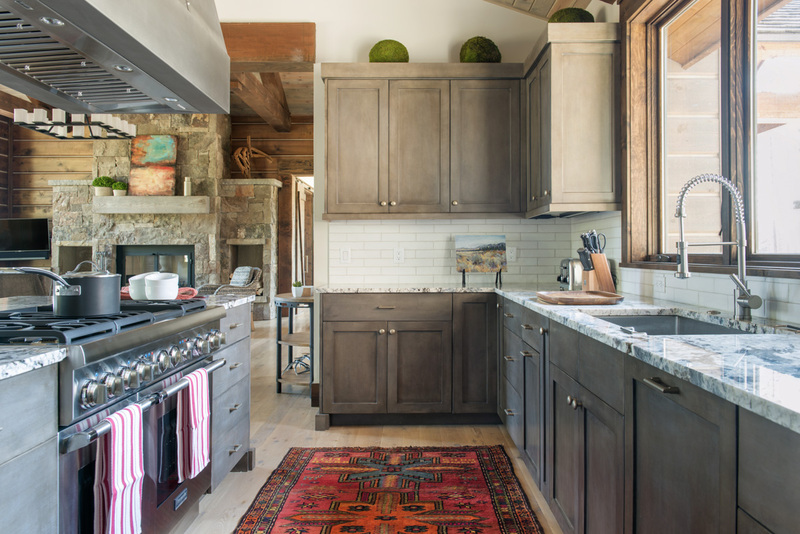 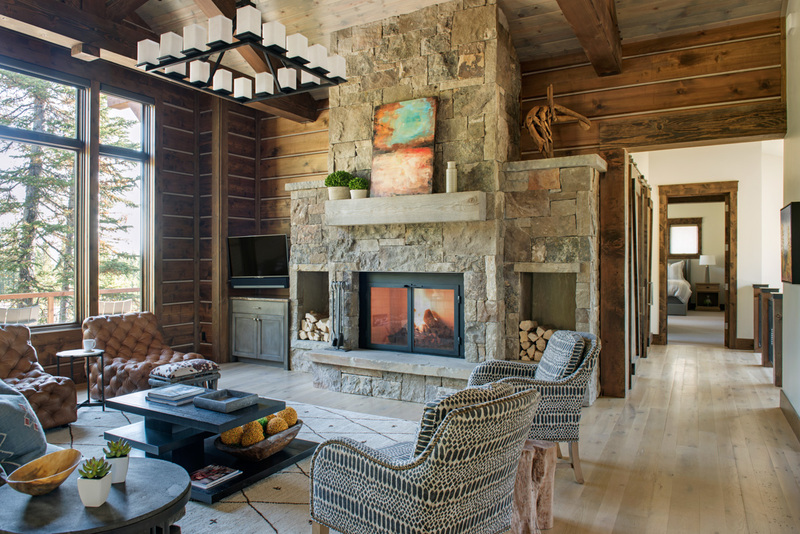 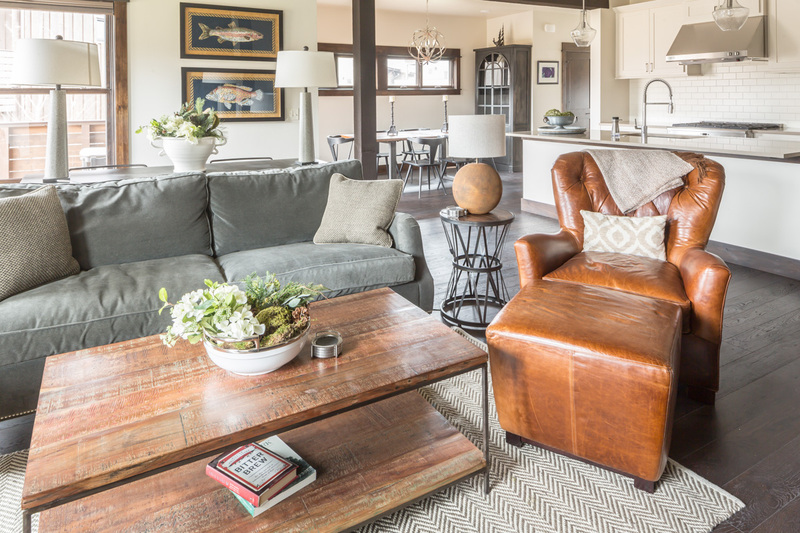 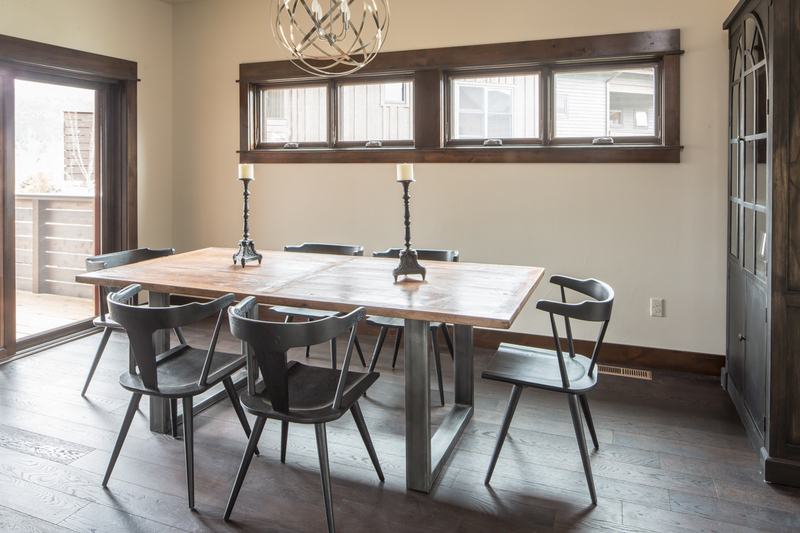 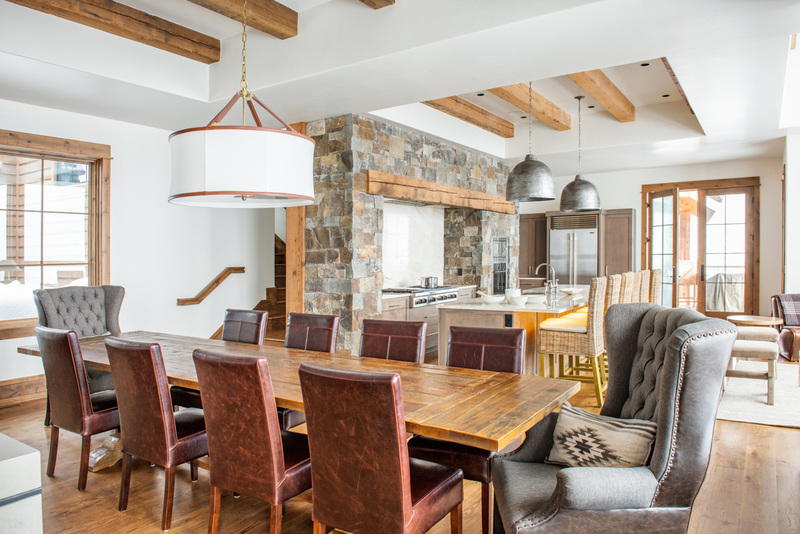 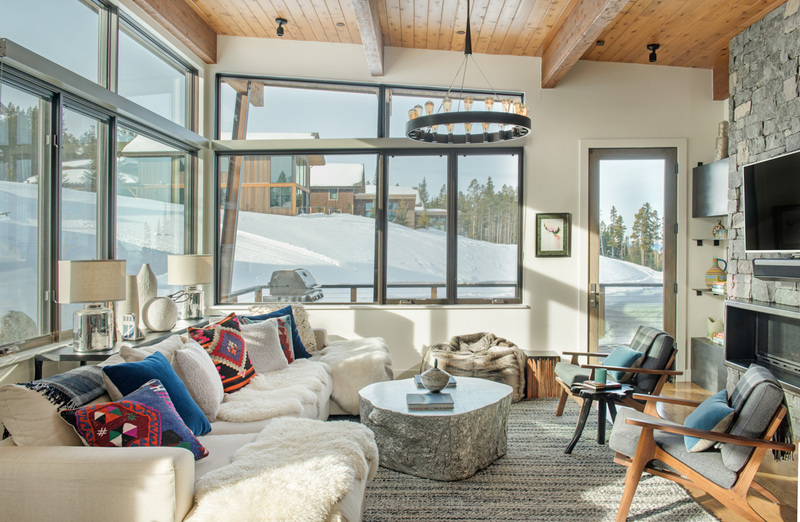 Natural Retreats offers Big Sky vacation rentals to suit every vacation style, from mountain chic slopeside homes to grand hilltop chalets with amenities like private theaters and wine cellars. 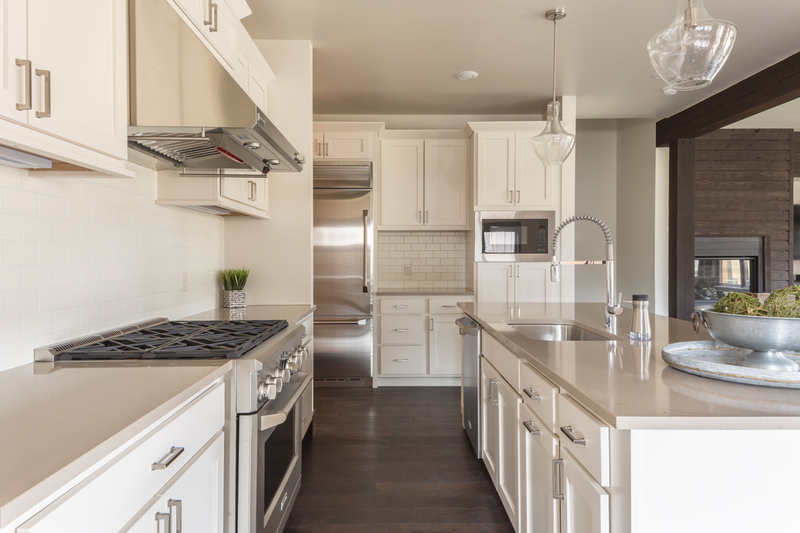 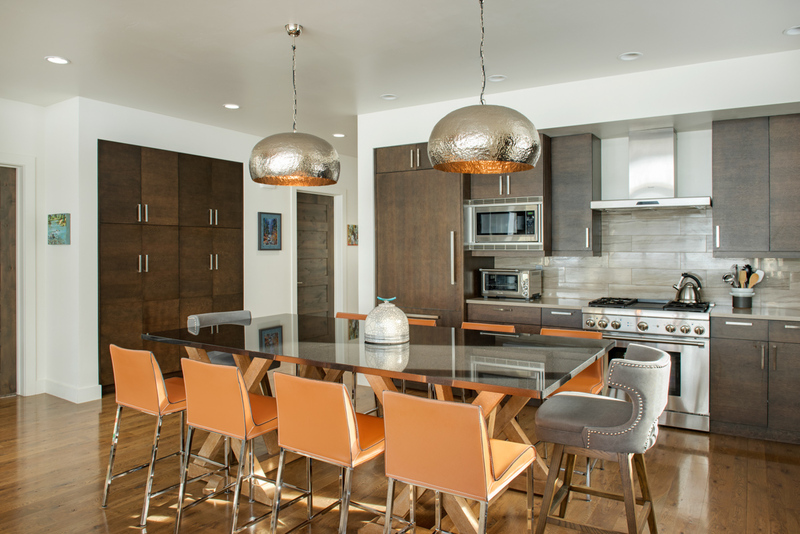 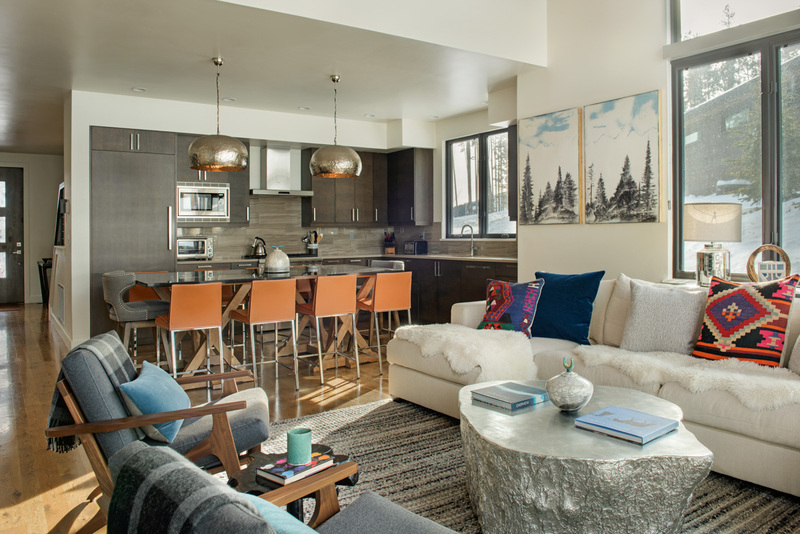 Modern condos at the Mountain and Meadow Villages are accommodations for those who want to be steps from restaurants, bars, and shops with free shuttle access to the resort. 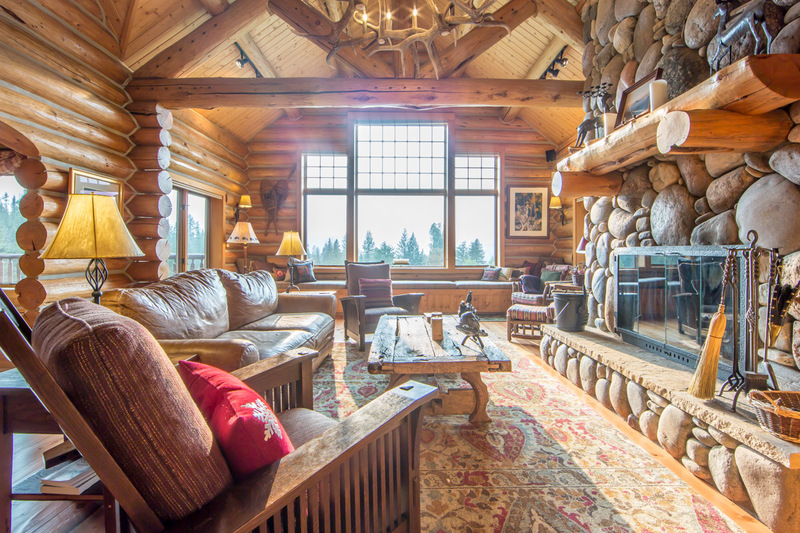 Our team of Big Sky locals will lead you to new adventures on and off the slopes, including ziplining, dog sledding, whitewater rafting, fly-fishing, mountain biking and horseback riding. 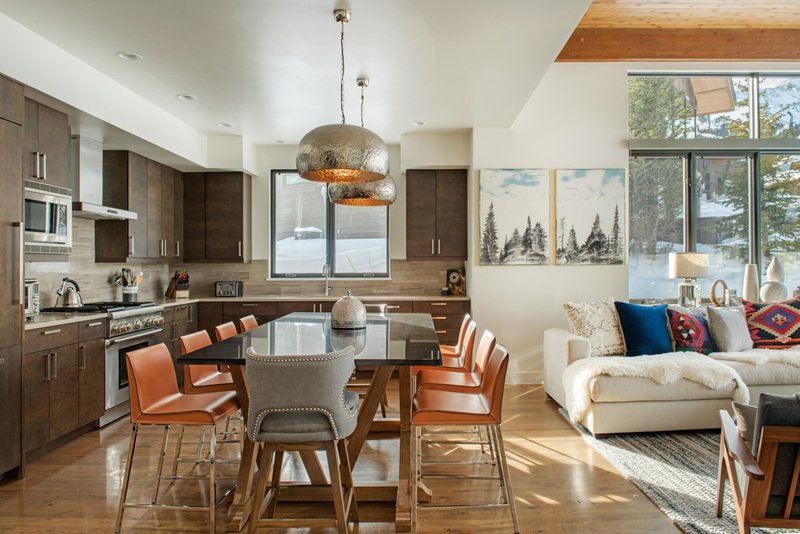 Nestled near two chairlifts with a mix of green, blue and black terrain, the Moonlight Basin neighborhood offers prime ski access, with an abundance of ski-in, ski-out properties. 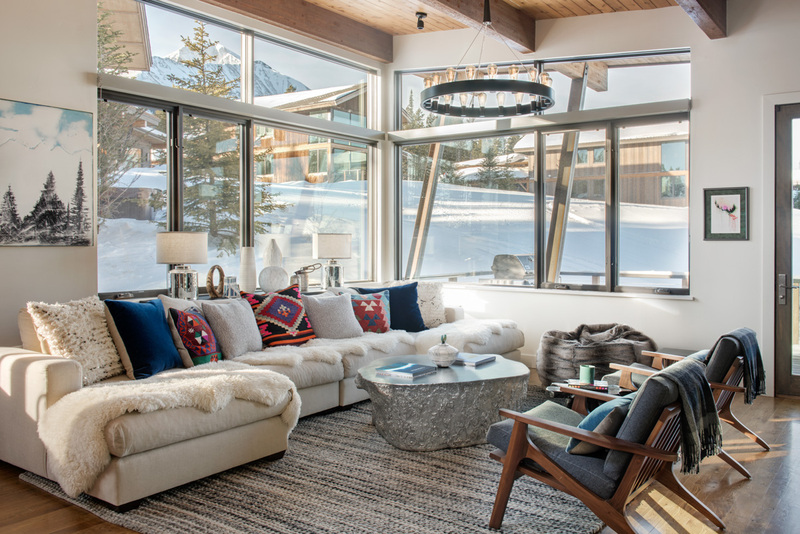 These Big Sky luxury rentals include residences with private decks and hot tubs, modern furnishings, and views of the surrounding peaks. 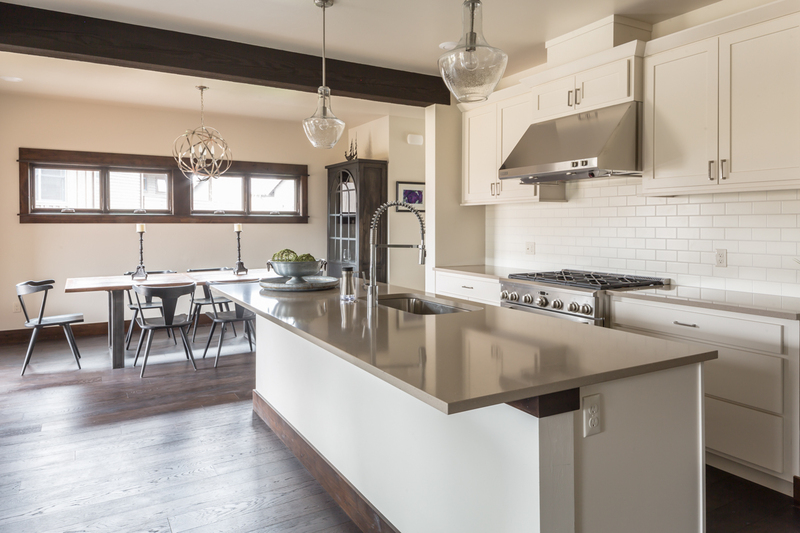 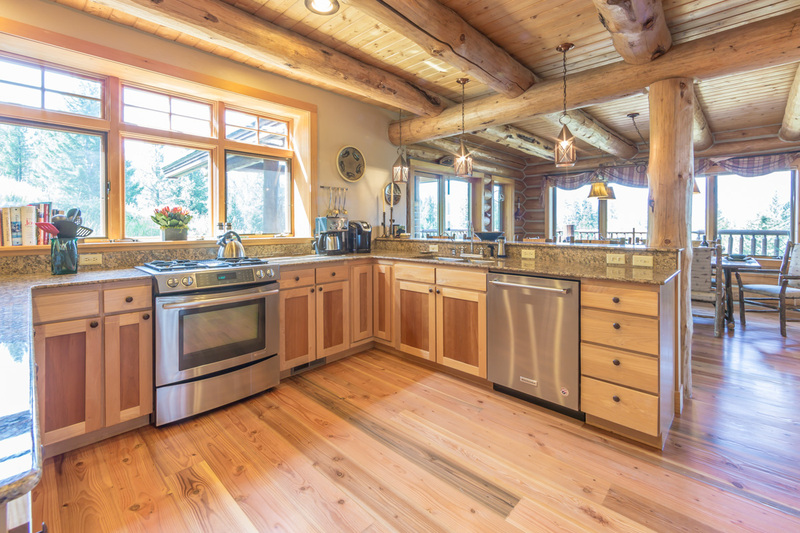 This private community features custom timber homes with massive views and modern amenities, including private hot tubs, chef’s kitchens and game rooms. 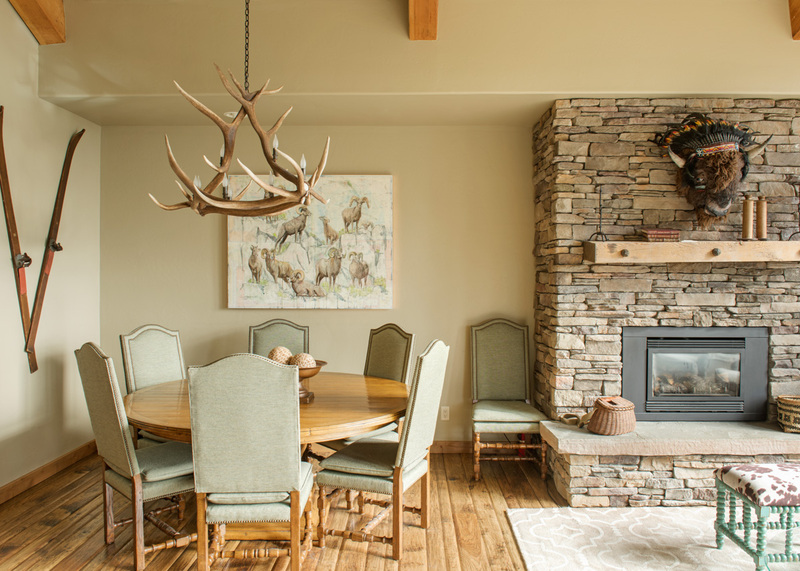 Guests enjoy access to thoughtful amenities at the Spanish Peaks Clubhouse, including a community hot tub, summer-use pool, 18-hole golf course, fitness center and ski valet service. 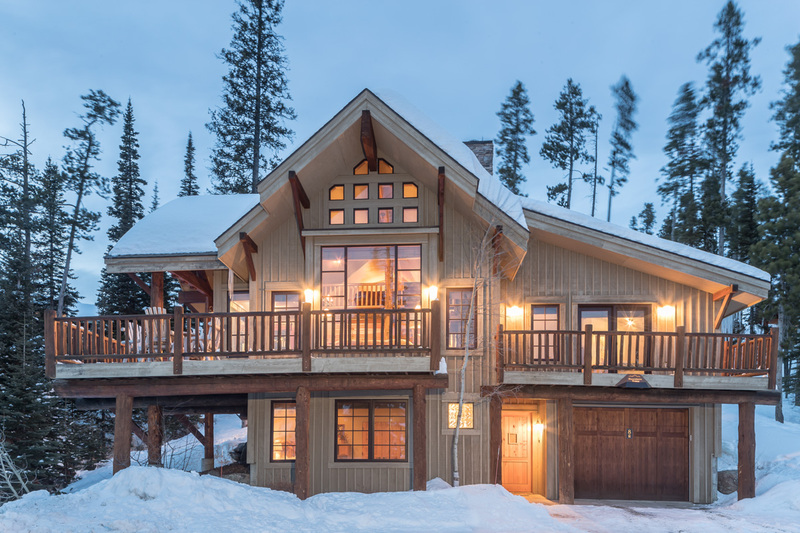 Many homes offer ski-in, ski-out access. 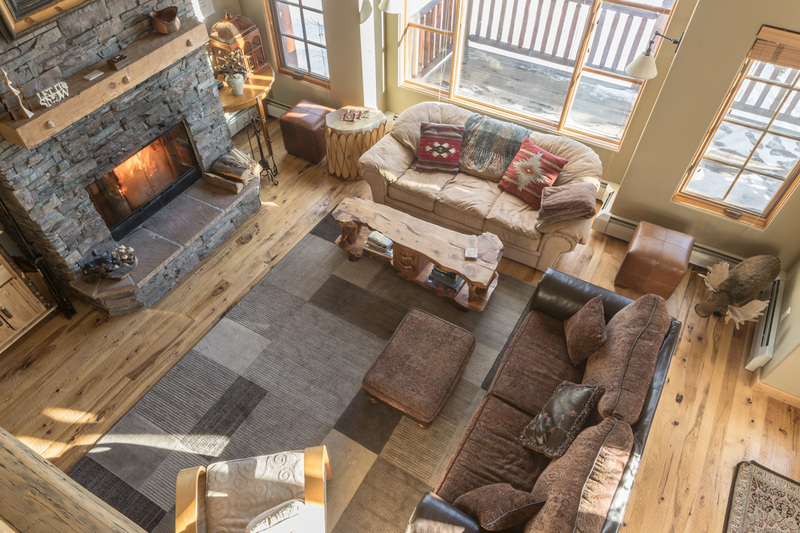 Ideal for groups who want ski access with a village atmosphere, Big Sky Mountain Village offers it all -- chairlifts, dining, gear rentals, lift tickets and apres-ski. 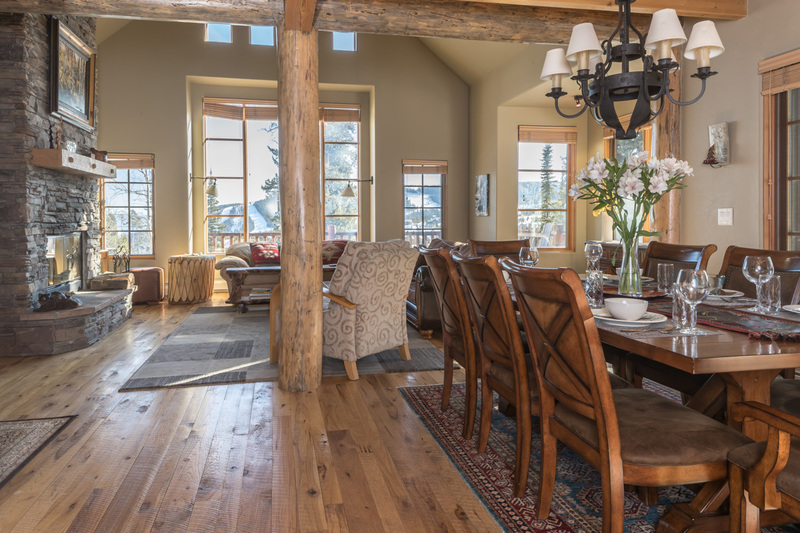 Our Mountain Village rentals include great variety, all minutes from this lively base area. 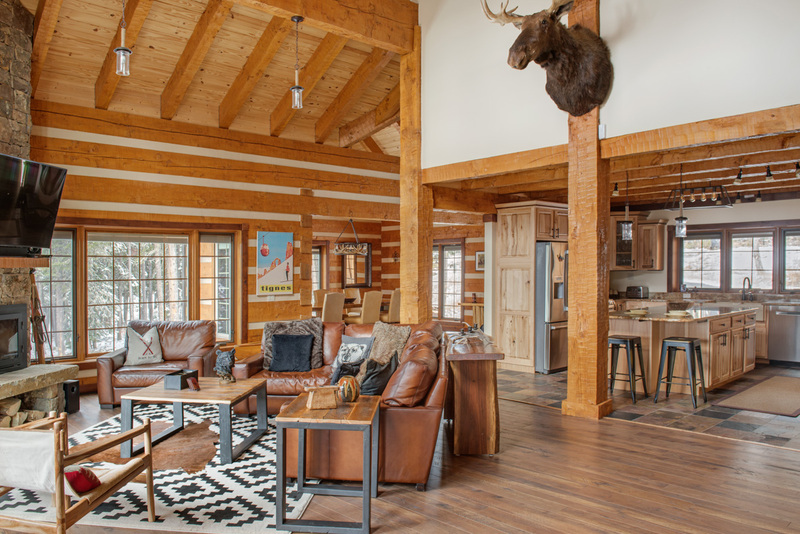 Choose from modern cabins with stylish decor steps from the lifts, charming condos with pool access and other lodge amenities, and custom log homes on expansive wooded lots. 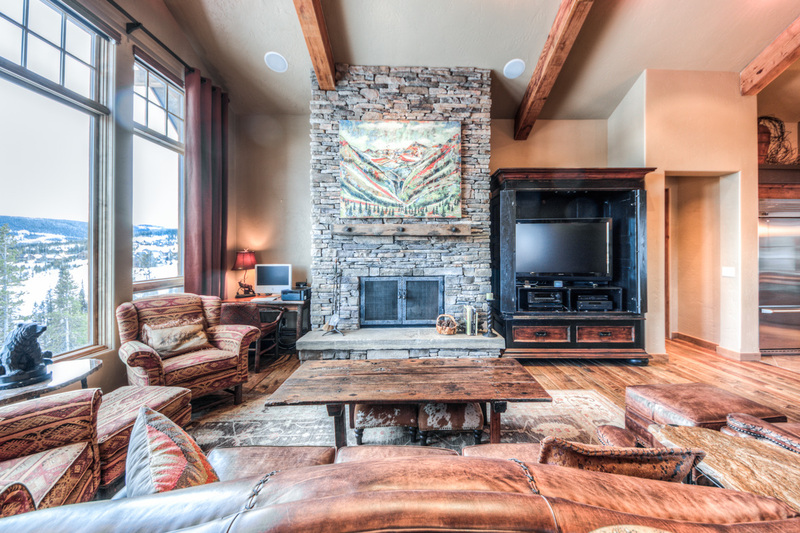 All our Mountain Village homes lie within a 5-minute drive of the slopes. 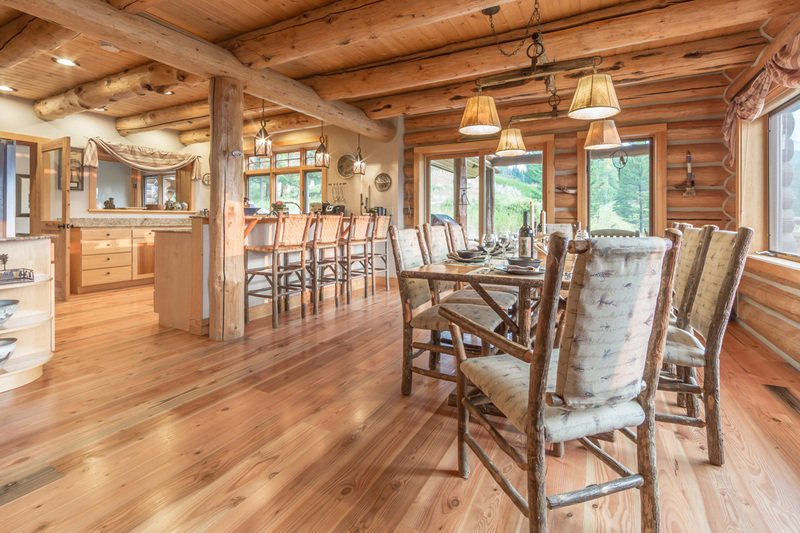 Many of these vacation homes offer ski-in, ski-out access. 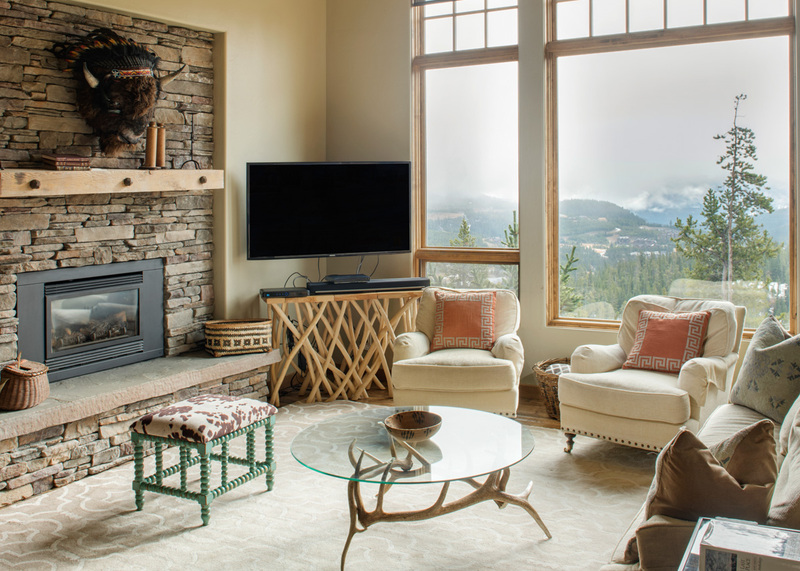 To experience Big Sky like a local, explore Meadow Village, where most year-round residents live. 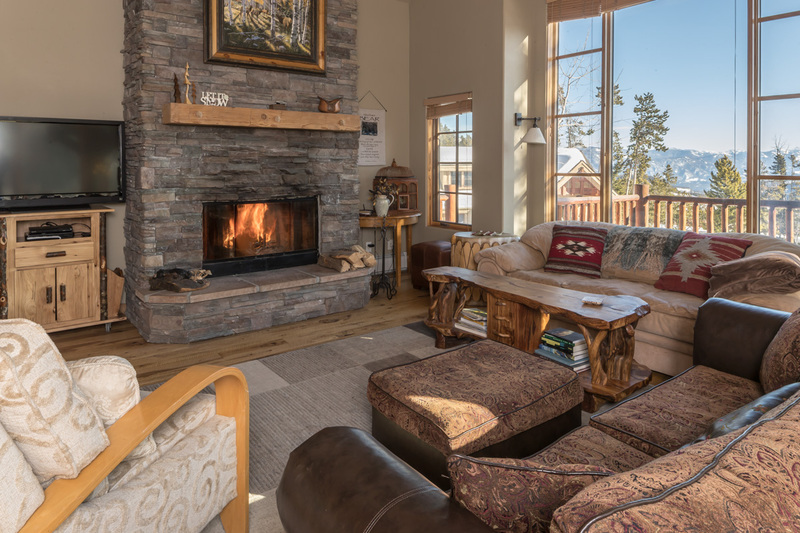 Our eclectic vacation rentals include elegant condos with modern decor, private cabin-style retreats on expansive grounds, and a charming bungalow with a private hot tub. 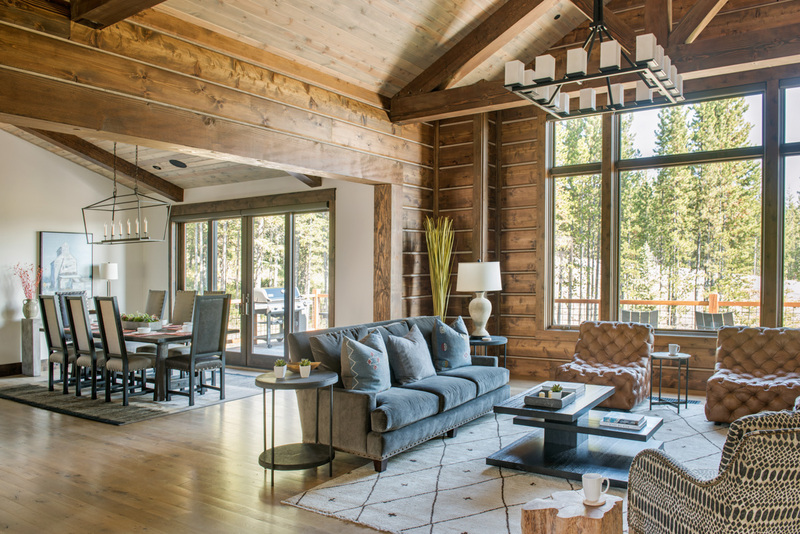 Meadow Village offers easy access to shopping, dining, and events in downtown Big Sky, and skiing at Big Sky Resort, located just 15 minutes away. 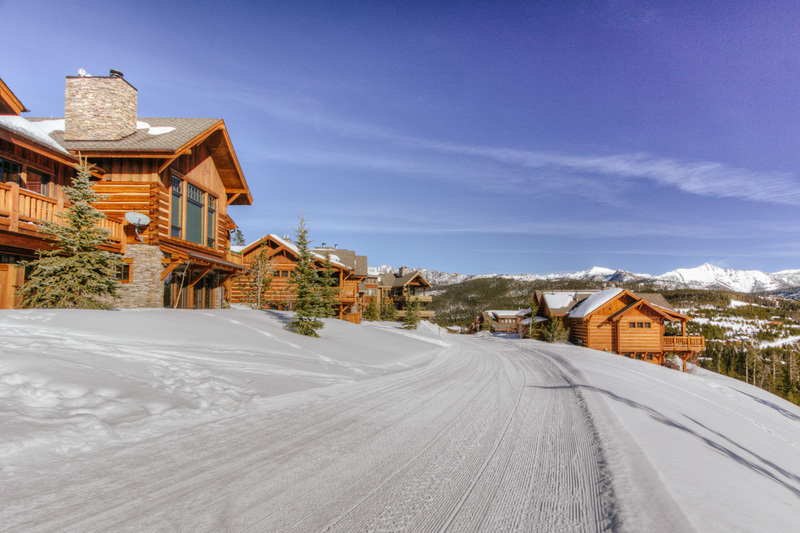 Bus service runs between Big Sky’s city center and the resort. 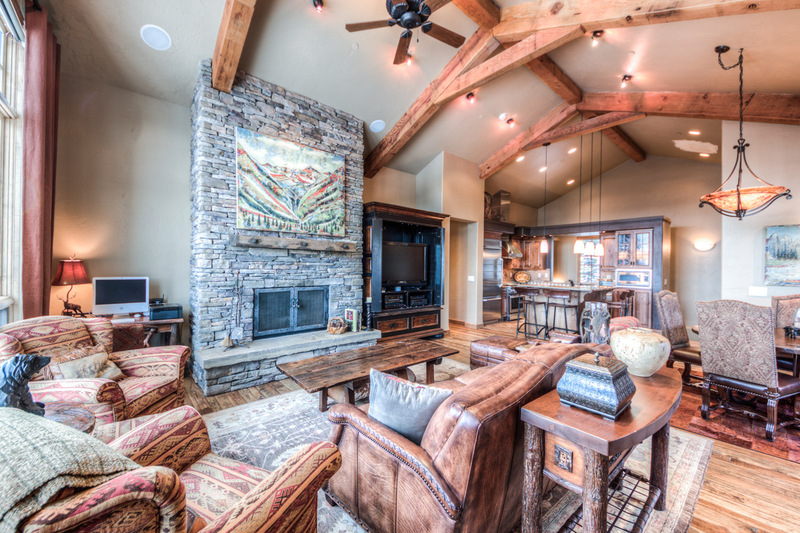 In the summer, Meadow Village homes offer close proximity to the Big Sky Golf Course, disc golf and community parks. 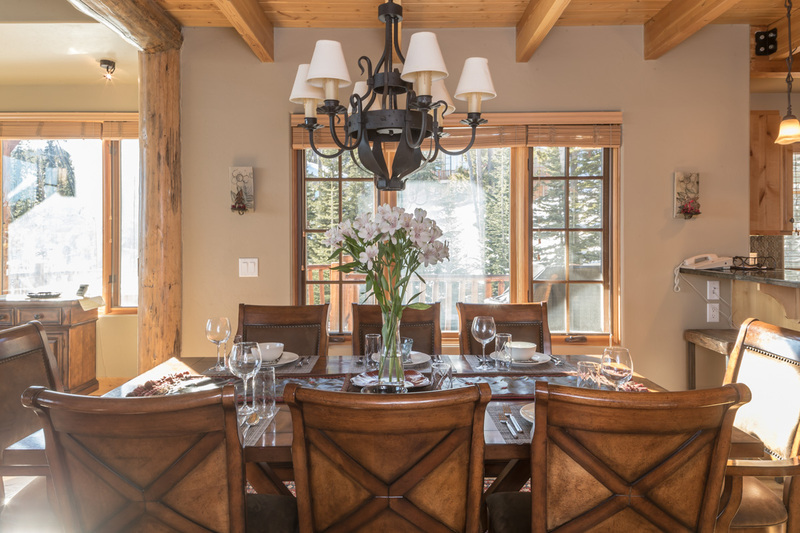 The Little Plume Lodge sits in a prime location right next to the entrance of Moonlight Basin and mere steps away from a groomed access run to Big Sky Resort. 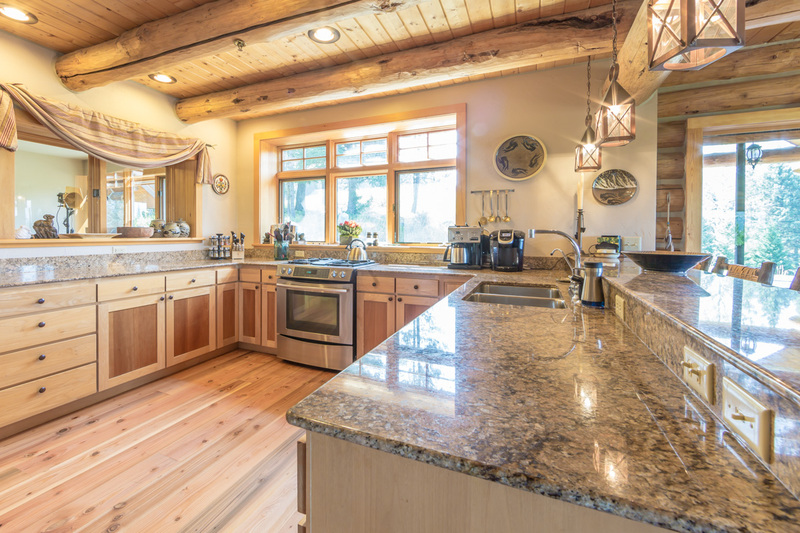 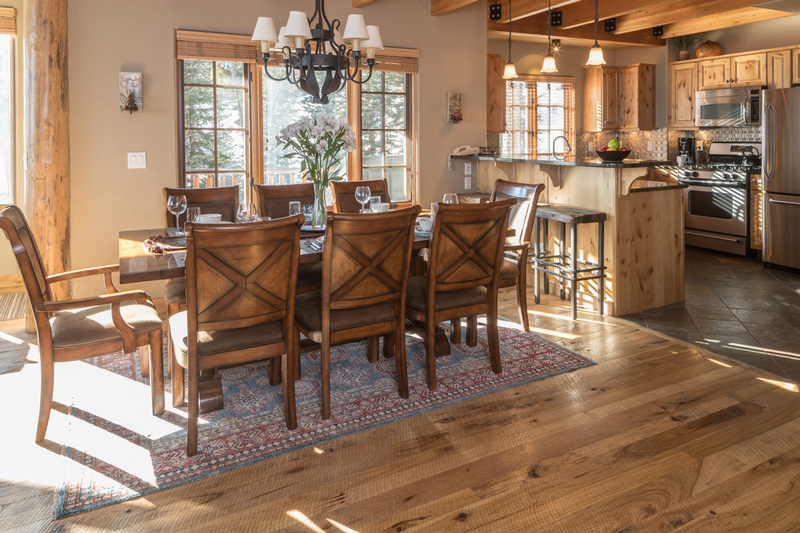 With amazing views of Lone Peak and a groomed trail to the White Otter chair lift right out the back door, the Mountain View Chalet is the perfect home for your extended family vacation. 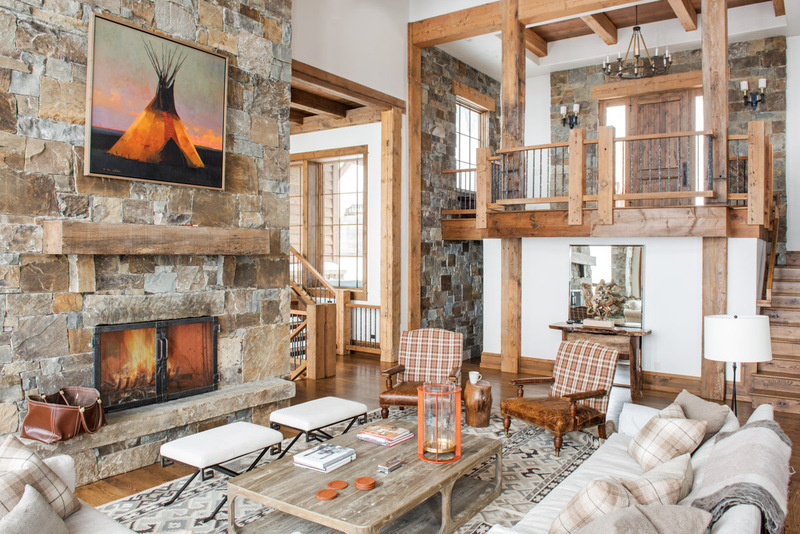 Imagine your whole family gathered around the fireplace. 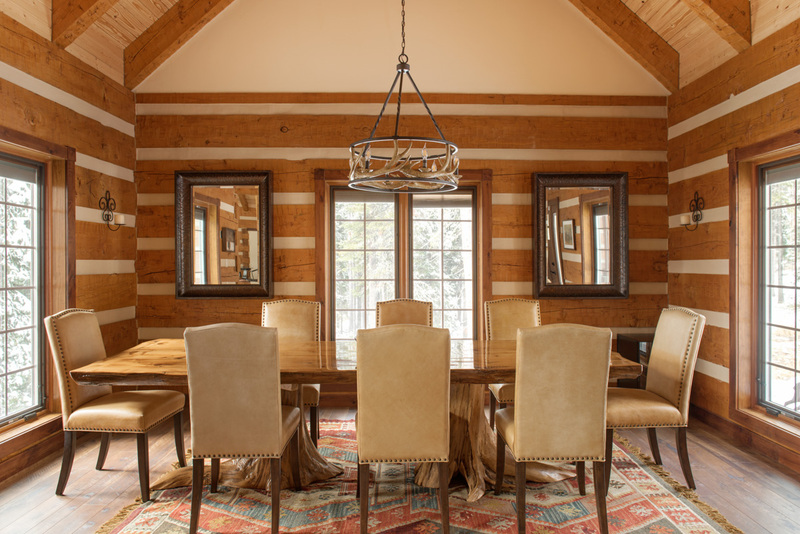 The Powder Ridge Cabins are a cozy retreat for the whole family. 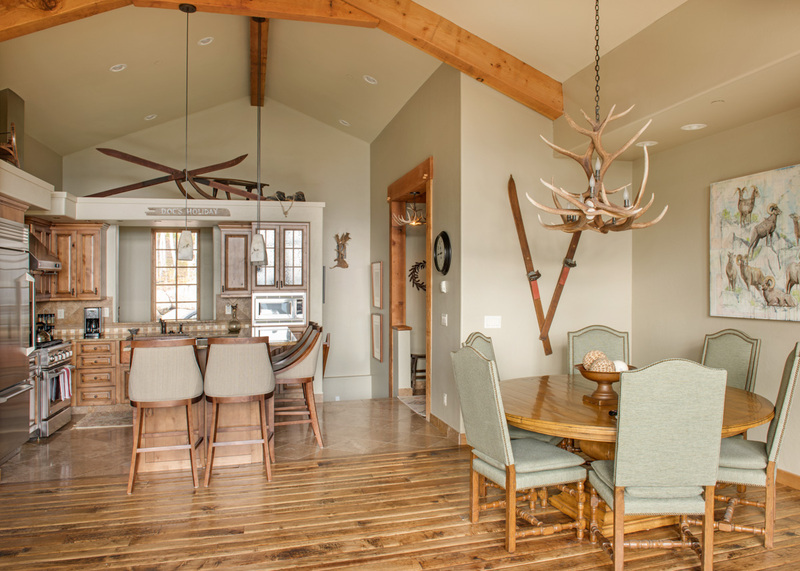 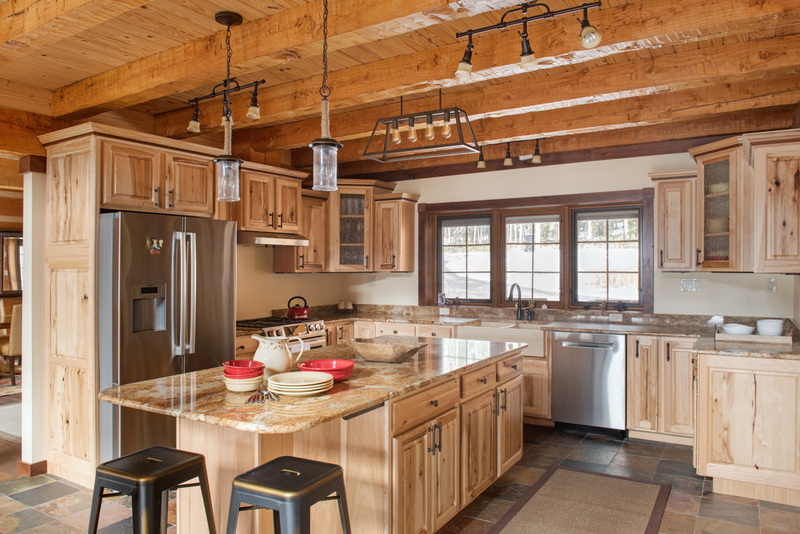 The cheery open living area and kitchen make these cabins a great place to gather after a day on the slopes to share stories with your family and friends. 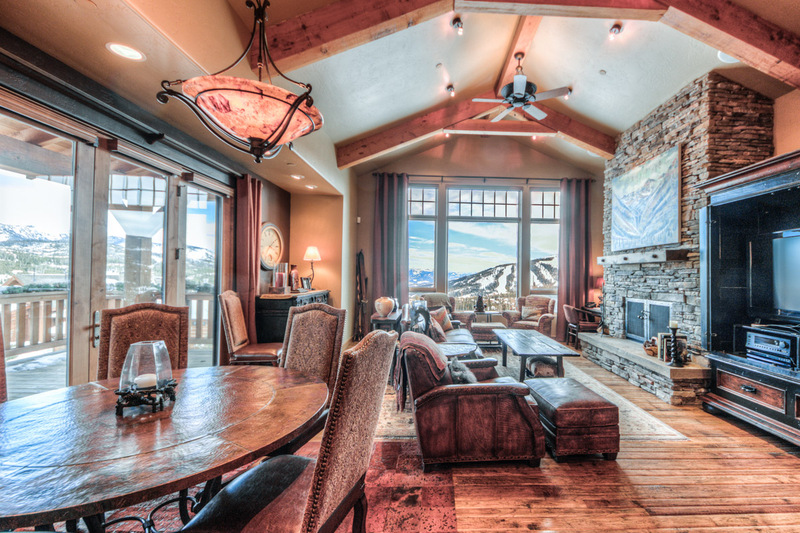 Perfect for families, this ski-in, ski-out luxury home features Big Sky views, a game room and hot tub. 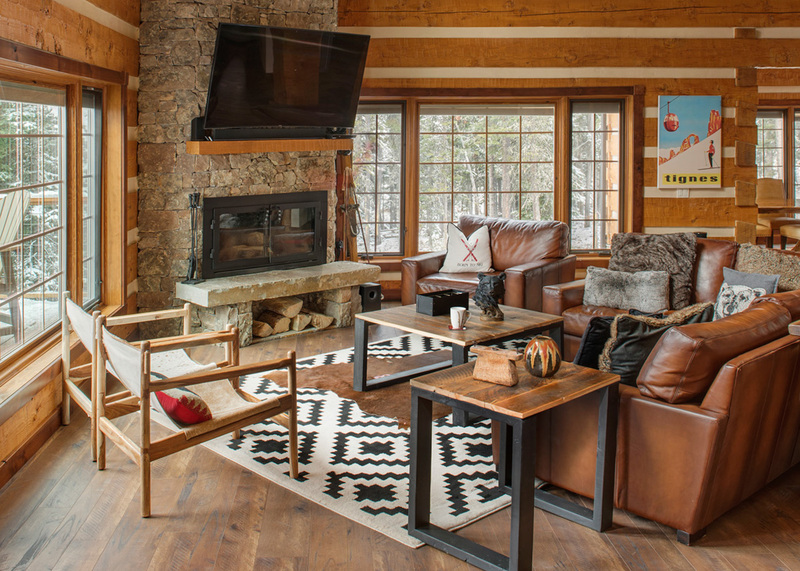 Ski-accessible cabin with outdoor living space and hot tub overlooking spectacular mountain views. 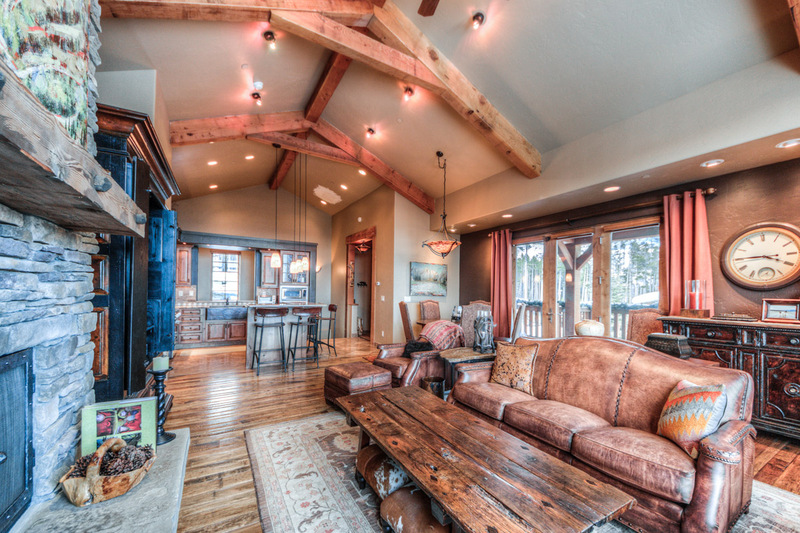 Ski-in ski-out 3 bedroom home with sweeping mountain views and stylish mountain decor. 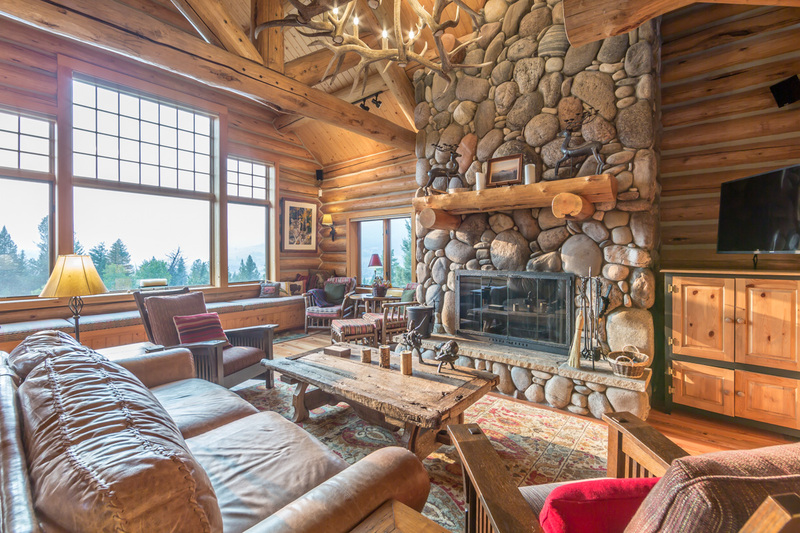 Charming 5-bedroom log home with ski access and private hot tub. 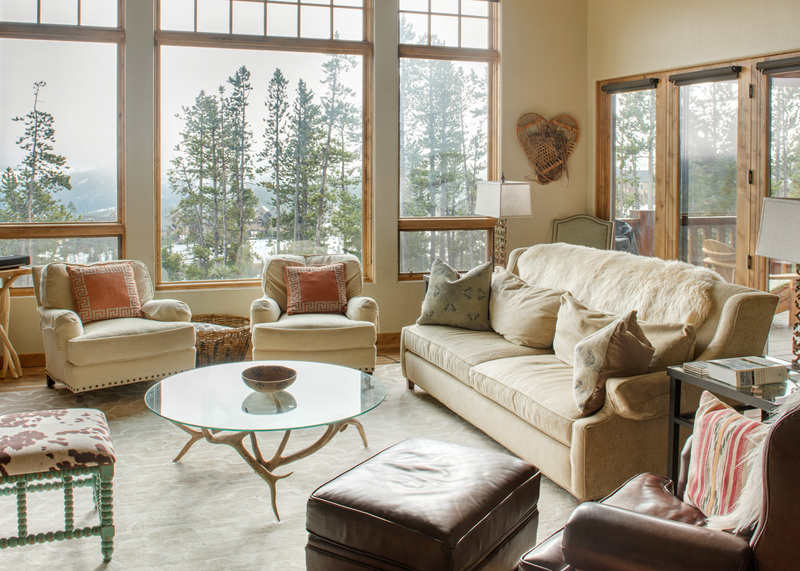 Enjoy a seamless and relaxing travel experience to and from Big Sky in one of our luxury SUVs or Limo Vans. 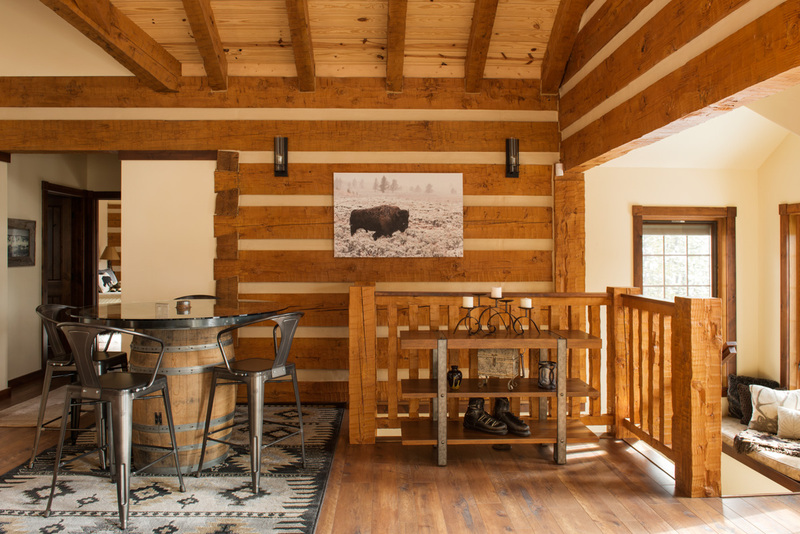 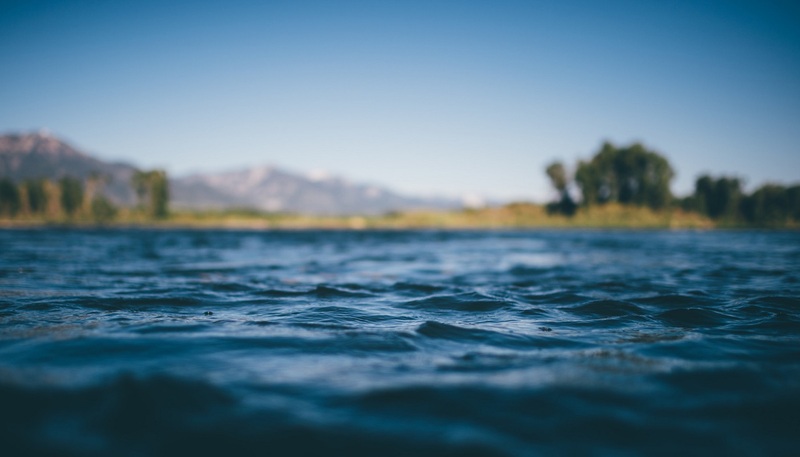 Our safe, experienced and knowledgeable drivers will help you get better acquainted with the area and ensure your visit to Big Sky starts and ends with a good dose of Montana hospitality. 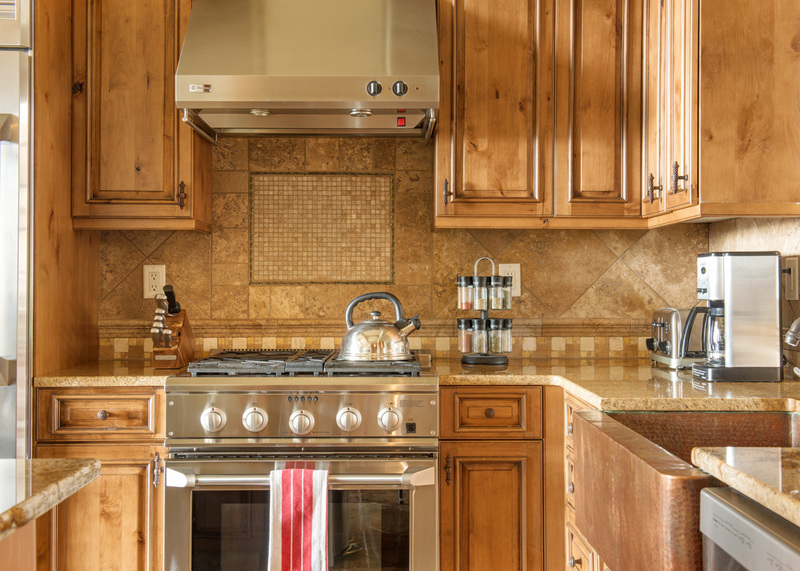 A complimentary stop to pick-up pre-ordered groceries is included in all of our private car charter services. 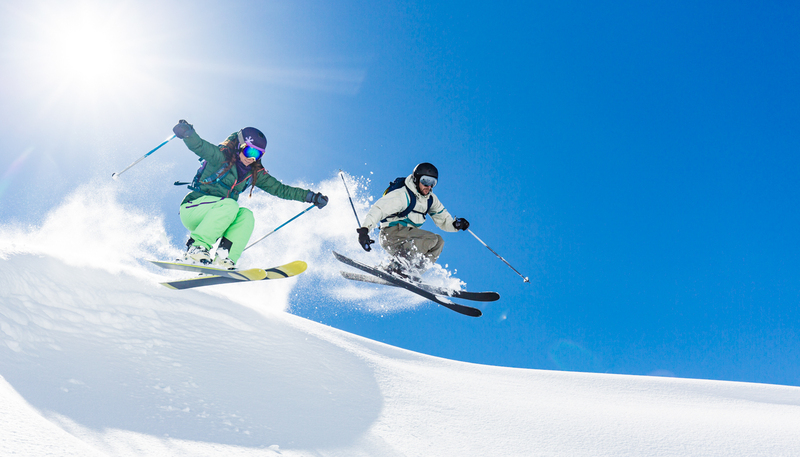 Book your airport transportation here. 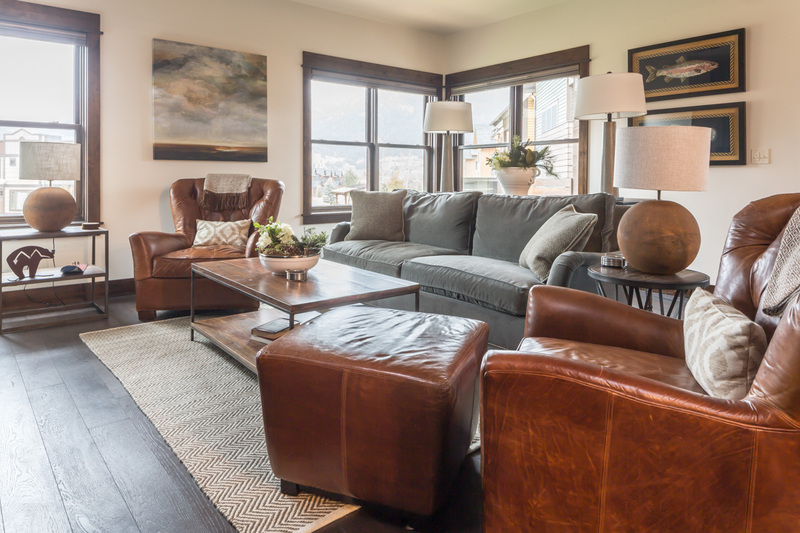 We also have a fleet of luxury SUVs available for rent, for those guests who require a little more independence and flexibility. 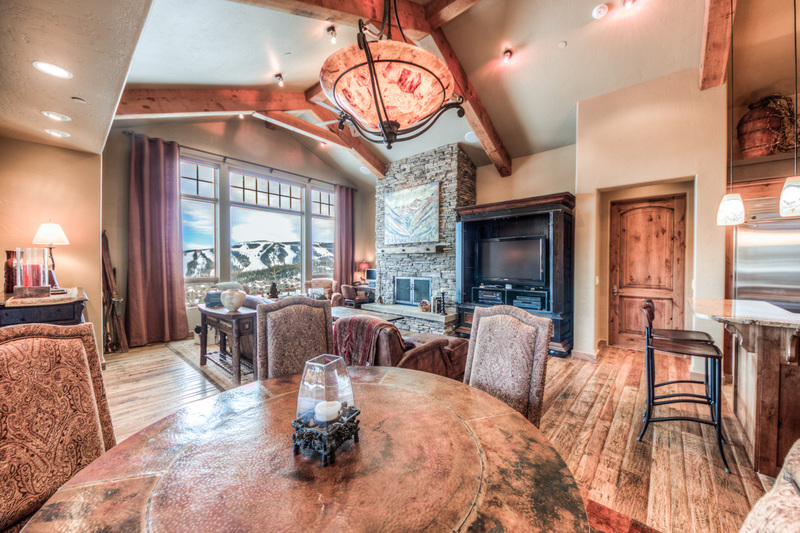 Please contact a Reservations Agent for more information. 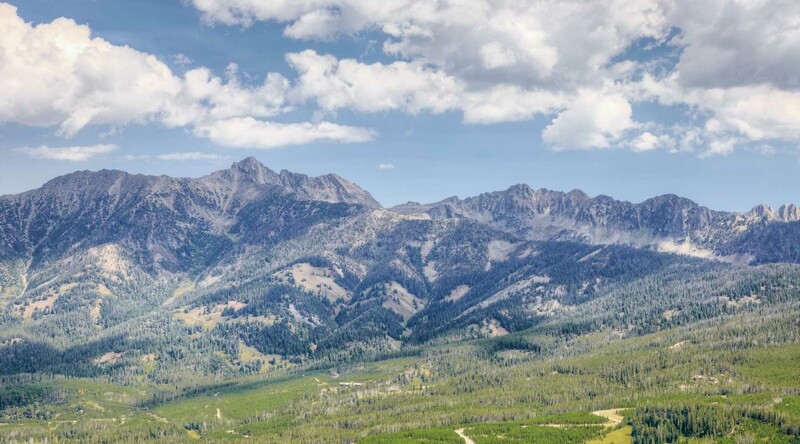 Explore Yellowstone National Park from the comfort of our luxury tour vehicles and experience the park on your own schedule. 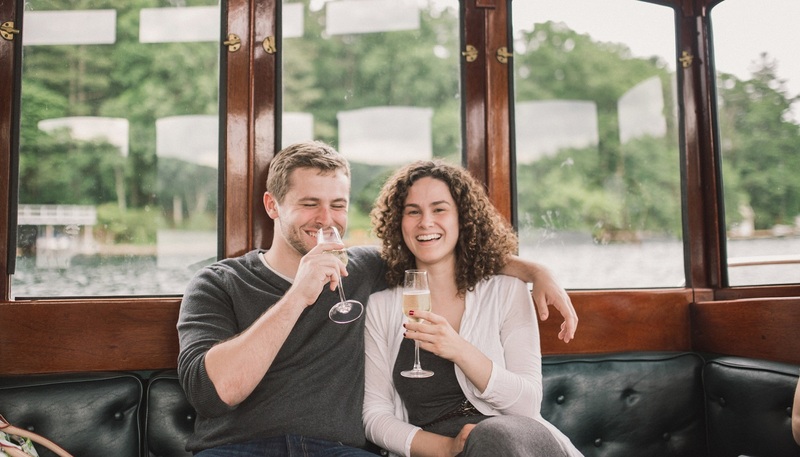 Our private, customizable tours are catered to your group and your interests, and are led by one of our knowledgeable, expert guides. 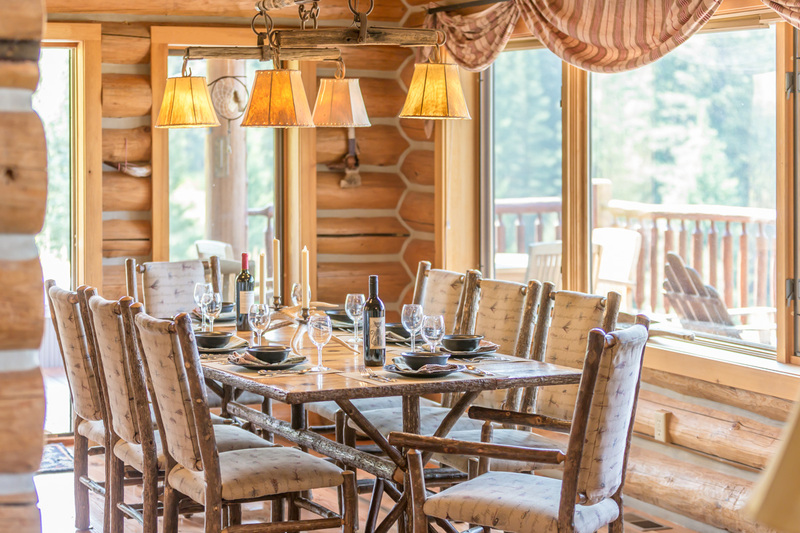 Marvel at the wonders of Old Faithful, Firehole Canyon, Yellowstone Falls, Mammoth Hot Springs, Lamar Valley, and more as you tour Yellowstone on an itinerary made for you and your group. 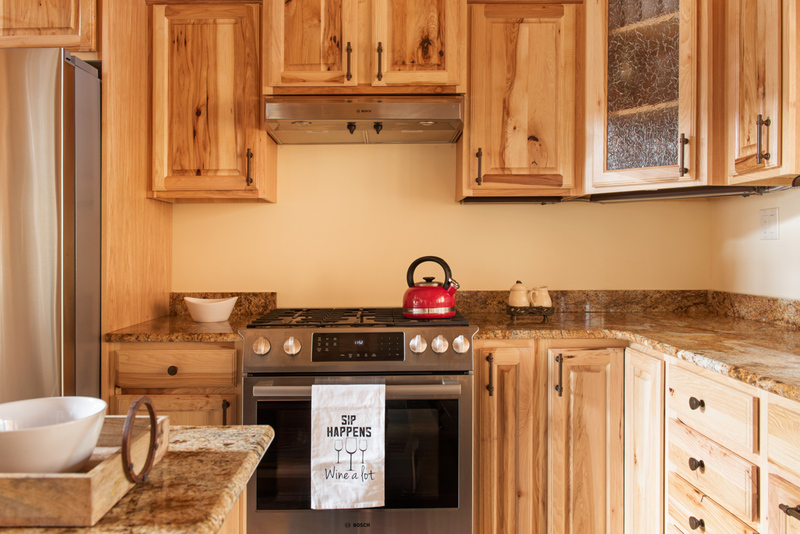 Prices include a delicious picnic lunch and door-to- door service. 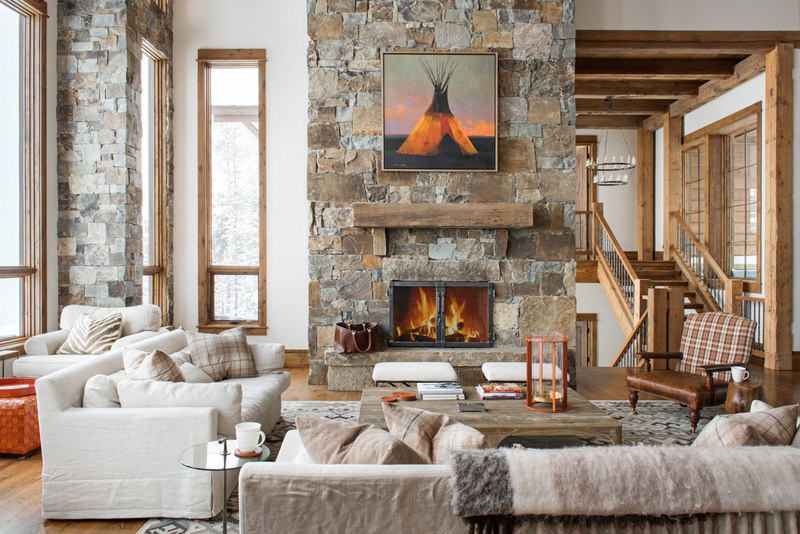 Whether you are planning an epic ski trip or a relaxing mountain escape, Big Sky, Montana is the place to be this Spring. 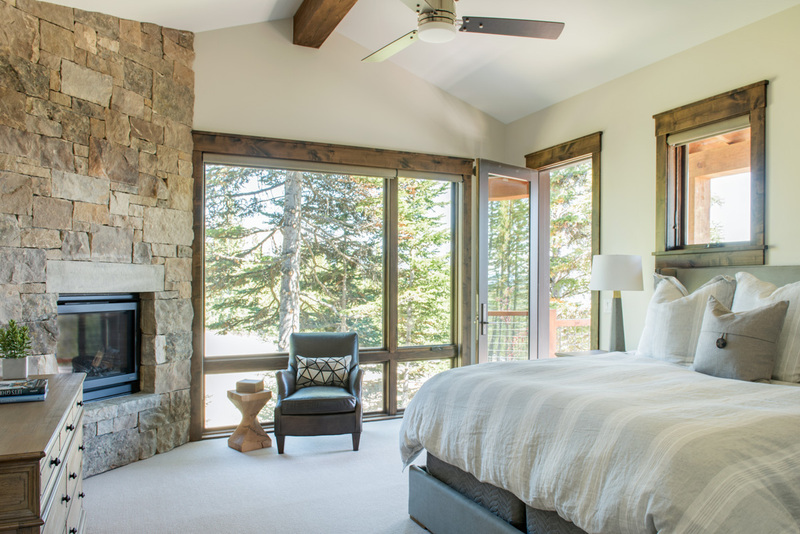 Enjoy 15% off stays in select homes from now until May 30th.